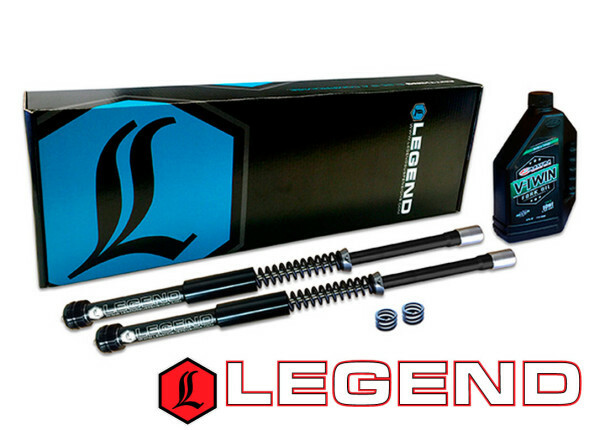 We are just about to launch into some very interesting product with Legend Air Suspension; a set of front fork inserts that have definite benefits for any bagger rider! These inserts came about from demo rides that customers had been doing with the Legend Air Suspension on Legend equipped Street Glides in the States over the past 2 years. Legend kept getting the same message; the rear air shocks are unreal – but can you you do something about the dive in the front forks! So Legend started working towards a solution that seems to have hit the mark. Rollies Speed Shop Distribution are currently stocking the new FLH front inserts; Legend are planning an early 2016 release for other models including Softail®, Dyna and Sportster® models.